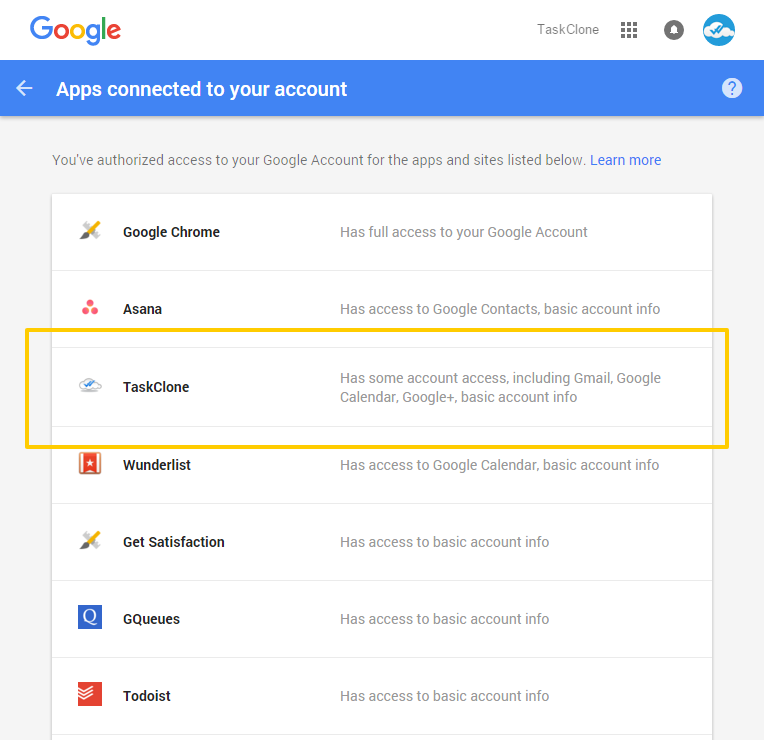 If you are having difficulty getting TaskClone to create events in Google Calendar, our connection with your Google Account may be the issue. You click the "Connect Google" button and you are not redirected to Google. Click your Google image. You can do this in any Google app (e.g. Gmail, GCal). Click the "My Account" button. 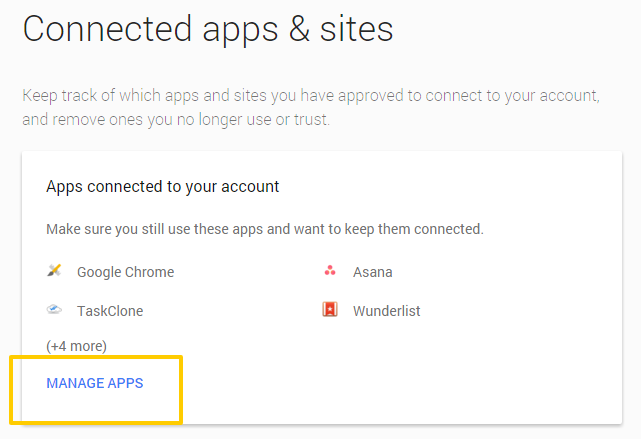 Click the "Connected apps & sites" link. Click the "MANAGE APPS" link. Click on "TaskClone" App. If you don't see TaskClone listed, it means TaskClone doesn't have an existing authorization. 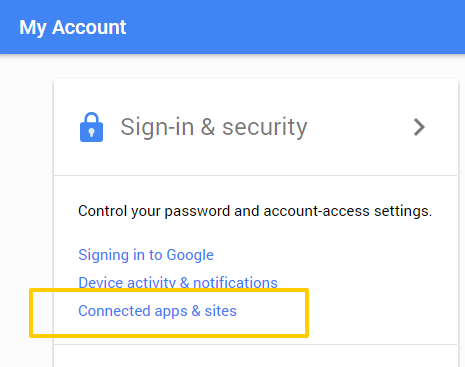 Be sure you are accessing the correct Google account. 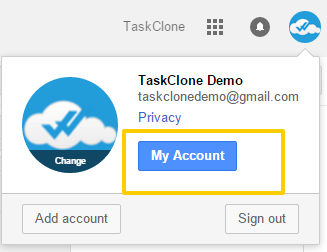 If you haven't already, logout of TaskClone and then follow the instructions in our Creating Events article.